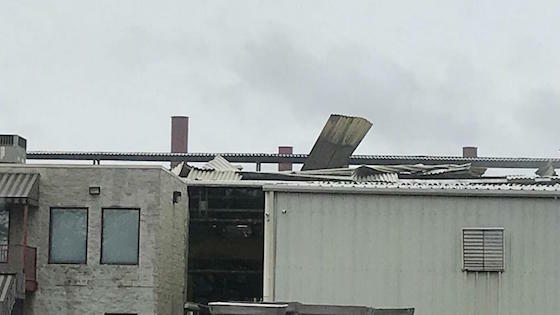 Part of the roof was blown off and two people suffered injuries after an explosion at the Smelter Service Corporation plant. There was an explosion with two people injured Thursday morning at the Smelter Service Corporation plant in Mount Pleasant, Tennessee. One person was severely injured and one person suffered slight injuries and refused transport, said officials at the Maury County Emergency Management Agency. The cause of the blast was molten aluminum coming into contact with water due to flash flooding. The furnace section of the plant has been closed for investigation and there is no danger to the public. The aluminum recycling plant is located at Arrow Mines Road between Sugar Creek and Gardenia Park.